In this decade, the Indian textile industry faces its next big challenge: incorporating environmental sustainability into the core of its operations. Energy in textile sector is used for machinery, cooling, temperature control, lighting, etc. Fuel oil, liquefied petroleum gas, coal and city gas are used in boilers to generate steam to drive the motor and compressor. Various end uses of steam are: dyeing and finishing, fiber production, spinning, weaving and clothing, manufacturing and lighting. Between 1990 and 2005, the production of cloth in textile sector increased from 1,613 to 11,767 million meters (an increase of 634%) and various forms of yarn and chips increased by 842% whereas energy use rose by 908%. This has been on account of the sector shift to more mechanization and modernization. The sector as a whole consumes 10% of the country’s energy and has increasing carbon intensity compared to other sectors on account of increasing mechanization. Analogous to energy, water is key to the textile processes. It is well known that cotton mills consume large volume of water for various processes such as sizing, de-sizing, scouring, bleaching, mercerization, dyeing, printing, finishing and ultimately washing. Due to the hundreds of harmful chemicals routinely used in washing and dying fabric, the textile industry is also the #1 industrial polluter of fresh water on the planet. According to research done by the World Wildlife Federation (WWF), an average of 8,500 litres of water is needed to grow one kilogram of cotton, equivalent to one pair of jeans. Production of cotton also consumes 25% of the world’s supply of insecticide and pesticides. With finite natural resources available, this situation presents both a challenge and an opportunity. The challenge is to deal with increasing costs of raw material in a competitive market: increasing costs of energy, water as well as an increasing price to pollute and increasing cost of compliance. Firms that adopt sustainability in their operations will gain both a short term tactical advantage as well as a long term strategic gain. With a rapidly increasing demand from the European and North American markets for environmentally friendly products, those textile and apparel manufacturers that are able to demonstrate their superiority will gain market share and market visibility in the short term. Global brands and retailers such as Marks and Spencer, Wal-mart, Nike, H&M, Levi’s Strauss & Co, C&A, and many others are actively looking to work with ‘green’ manufacturers in India. The strategic advantage is gained through a reduced environmental footprint that translates into lower long term cost as well as lowered business risk. The lowered risk is on account of better legal compliance (domestically and internationally) and meeting future thresholds of client requirements (and hence having revenue assurance). Additionally, capital market shareholders and stakeholders are rewarding firms with sustainability practices (and this is applicable to sectors outside textiles too). Globally, the Dow Jones Sustainability Index and the FTSE4Good Environmental Leaders which track the financial performance of the leading sustainability-driven companies worldwide have been outperforming the market (although the cause-effect relation can be argued). Such initiatives are in the design stages with FI investors investing in India and this presents an opportunity for the listed companies to attract capital markets. How prepared is the industry for this Sustainability megatrend? In an order to determine the level of preparedness of the industry, cKinetics carried out a survey across firms operating in the Textile and Apparel value chains in India between July and October 2010. The reason reporting and measurement was looked at, is since that is the first step towards developing any meaningful intervention. 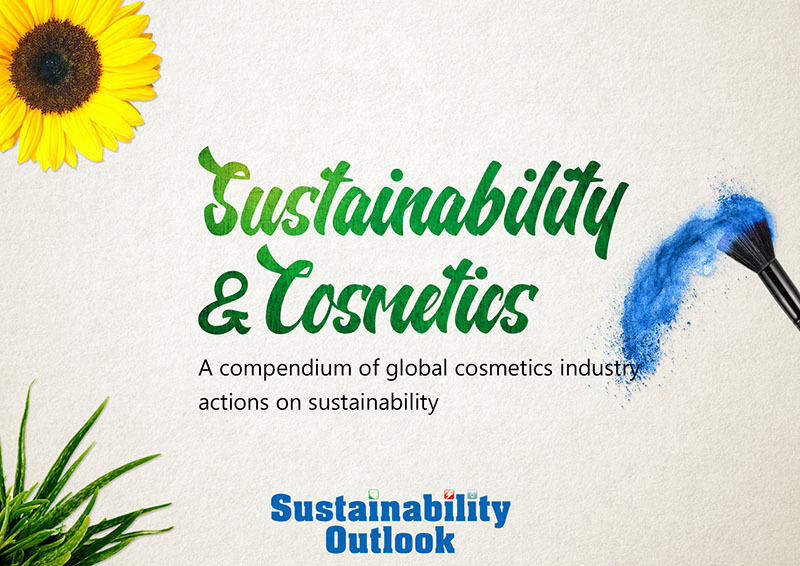 As expected, the findings indicated that the industry is at an early stage of adopting measurement of various parameters related to sustainability. Preliminary information was collected from about 350 firms with detailed information collected from 30 plus units. It should be pointed out, that the aggregate reporting existed in all companies. It is the detailed process-wise reporting and also being able to provide data to report on carbon emissions or detailed product/ process specific resource consumption where the industry is still building capabilities. The interesting find in the study was that firms realize the importance of the emerging Sustainability trend. Firms that had made historical investments in renewable energy sources such as wind, biomass (e.g. rice husk), etc. are accidentally in a situation where they are using that to their advantage by positioning themselves as being ‘green’. Additionally because of the renewable energy source, these firms have a lower emission per unit of energy consumed and hence are able to provide products with either a lower environmental footprint or a lower carbon footprint. In fact UK’s Continental Clothing, which manufactures the ‘EarthPositive’ apparel that has 100% Organic Cotton and 90% reduced CO2 sources its T-shirts from a couple of Southern India suppliers that have captive wind farms. Most textile and apparel units that are still questioning whether sustainability is here or not, ought to take that first step to measure where they stand vis-à-vis the industry and see if there are short term gains that can enable their business in the near term. This article has been written by Pawan Mehra, Managing Director, cKinetics.Pawan has been involved in building and scaling early-stage ventures: first as a venture capital investor in his early career with GVFL and McKenna Capital and, since then, as an entrepreneur with Parsec Interact, Intellecap, and cKinetics. He serves on the board of the Global Impact Investing Network and is also actively involved with the Give Foundation.